Hundreds or even thousands of patients are getting stem cell procedures including right here in the U.S. Many key issues remain unresolved, but clinics and doctors are giving these treatments anyway to make money. Critical issues include lack of proper informed consent, lack of strong data on risks and benefits, huge costs, and so forth. One of the most common procedures now is the use of stem cells for the so-called “facelift” cosmetic procedures. We heard in the last World Stem Cell Summit from Dr. Allan Wu how one patient grew bone in her eye after one such procedure. 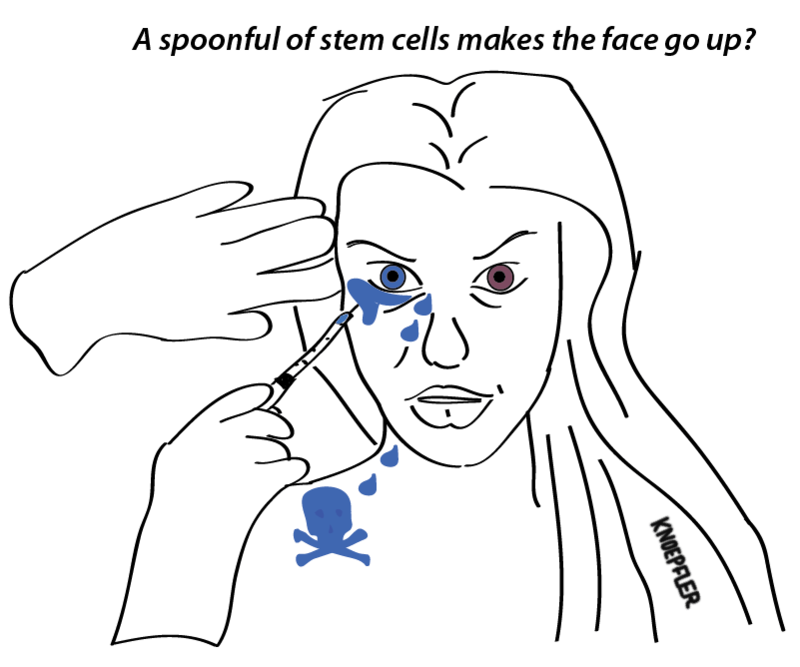 Above is my cartoon that hopefully is worth a thousand words about the dangers of these procedures.